HOW MAY WE SERVE YOU TODAY ? Today's high efficiency air conditioning systems utilize leading technologies to accurately manage the quality of the indoor environment more efficiently than ever. Variable speed and multi-stage systems are configured to maximize humidity control needed in occupied or unoccupied air conditioned spaces. Variable speed systems utilize variable frequency inverter drives that automatically regulate capacity and energy use in direct response to the real time demand. Multi-stage systems automatically shift from high to low speed operation as is needed to maintain indoor conditions. Zone control systems deliver more precise room-to-room control of comfort and energy use. Zone systems are more responsive to temperatures in spaces with eastern or western solar exposure to windows and glass doors and maintain more even temperatures during the course of the day. Zone systems use multiple room thermostats allowing for multi-user control of individual air conditioned spaces in residential and commercial buildings. WiFi Compatible digital touch-screen thermostats can be monitored and controlled remotely via web portal or smart phone or tablet app. WiFi controls can be used to monitor unoccupied spaces. Humidity, temperature and system failure alerts are sent via text message and e-mail to property owner or manager or both. WiFi Thermostats are continuously logging data that is automatically compiled into energy usage tables that track energy use. Comprehensive Maintenance for Residential and Commercial Air Conditioning and Ventilation Systems. Best Industry Practices & Products. Warranty and Non-Warranty repair services for all brands of residential and commercial air conditioning and ventilation systems. 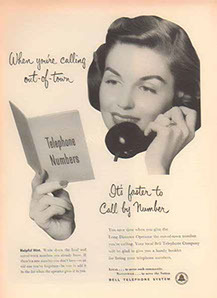 Johnny and Doris Johnson called their Naples company "Courtesy" in the late 1950's. 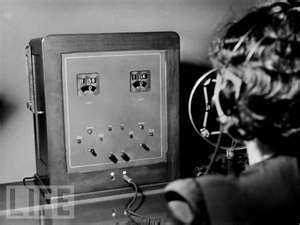 They incorporated in 1960 as Johnson's Air Conditioning and offered air conditioning and electric motor repair through the 1960s. Johnny and Doris's employees ; John and Sophie Barolak bought Johnson's in the 1970s. The Barolak family sold Johnson’s to their employees Rick and Rickie Sims in 1998. In each generation their were key managers and employees who's years of work for Johnson's spanned the changes in Johnson's and Naples. 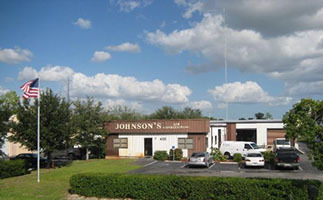 The success of Johnson's Air Conditioning extends beyond the three families who owned it ; Johnson's has become a Naples Family itself. Johnson's first home was on 4th Avenue North just a few doors down from the Dairy Queen. The photo to the right was taken before Hoffman's Office Supply was built next door ( the construction stake on the right side of the photo marks the future location of Hoffman's Office Office Supply ). Motor Repair Shop from 4th Ave N. to our 6322 Taylor Road Facility. 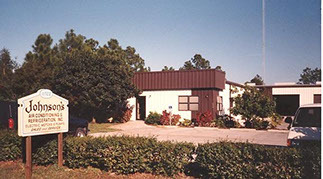 Johnson's Electric Motor and Pump Works continued to serve Collier County until 1999. Johnson's Air Conditioning and Sheet Metal operations continue in this facility today. worked serving Naples customers at Johnson's Air Conditioning. We are proud of their accomplishments and are eager to maintain our Naples reputation. to be courteous neighbors and trustworthy trades people. 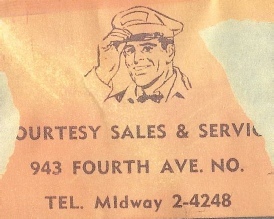 service and honest business dealings with all. Naples Florida, Collier County and all of SW Florida have changed significantly since 1960. Technologies used in buildings and HVAC systems have advanced exponentially. Johnson’s has been on the front lines bringing these advancements to our Naples customers. We are enthusiastic about the benefits offered by smarter buildings, intelligent systems and all of the new capabilities that digital communication systems bring to control, monitor and manage indoor environments and the energy used by HVAC systems. One thing that hasn’t changed is Johnson’s ability to offer quality people, products and services and our commitment to our customers, employees and our community. Johnson’s Air Conditioning gives friendly expert advice and shares the benefit of our 55 years of experience serving Naples Florida. We know the buildings, the systems and the needs of year-round and seasonal customers. If you are already a Johnson’s customer we can answer any questions you may have about your system and how it works. Johnson’s has recorded key performance data about your equipment even if we have only performed a simple maintenance. Contact us to find out what warranties may be in place. 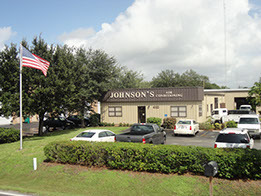 For those who have yet to use Johnson’s services , we may have information that can help ; Johnson’s has decades of experience with southwest Florida's climate and knows what it takes to efficiently maintain comfortable indoor environments all year long. We know the local commercial and multifamily buildings and we are familiar with all SWFL construction methods. How may we serve you today? brands of heating, air conditioning and ventilation systems. Johnson's uses best design practices to design residential, commercial and multifamily heating, ventilation and air conditioning systems, Johnson's uses leading design software and methods. Johnson's installs residential single family and multifamily new and replacement central heating and air conditioning systems. 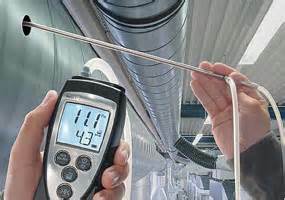 Johnson's installs new and replacement heating, ventilation and air conditioning systems in all types of commercial buildings. Johnson's designs and fabricates quality central air conditioning system duct systems including duct repair, duct replacement and remodelling projects. in residential, multifamily and commercial buildings. 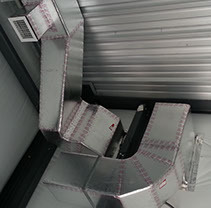 Johnson's sheet metal fabrications include ductwork and fittings for heating, ventilating and air conditioning systems, in addition to emergency overflow drain pans and water protection devices. Naples Florida, Collier County and all of SW Florida have changed significantly since 1960. Technologies used in buildings and HVAC systems have advanced exponentially. Johnson’s has been on the front lines bringing these advancements to our Naples customers. We are enthusiastic about the benefits offered by smarter buildings, intelligent systems and all of the new capabilities that digital communication systems bring to control, monitor and manage indoor environments and the energy use. Among things that haven't changed are Johnson’s quality people, products and services and our continuous commitment to customers, employees and community. Official You Tube Channel for Johnson's Air Conditioning. Call Johnson's for friendly help and answers to any questions you have. We'll put our decades of experience to work for you. Call for service or maintenance for your home or business. technicians are ready to go to work for you. Call for help with your replacement or renovation project. 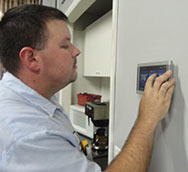 Find out what systems and controls best serve your residential or commercial project needs.